Well guys, so sorry I've been MIA lately! I promise to catch you guys up and let you in on what's been going on! 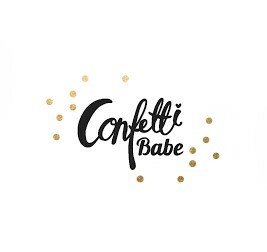 But, first, we've got some exciting news to share!! 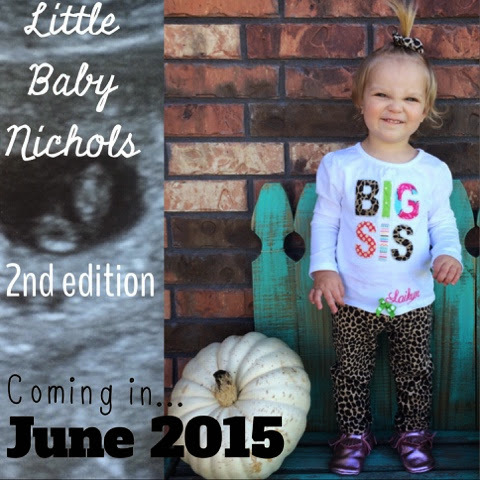 Nichols Family is growing!! 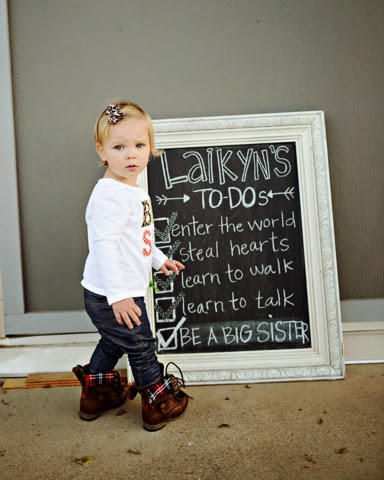 Laikyn will be getting a baby sister or brother for her 2nd birthday! We are so happy, a little overwhelmed but overall just BLESSED to know that God chose us to be parents again! 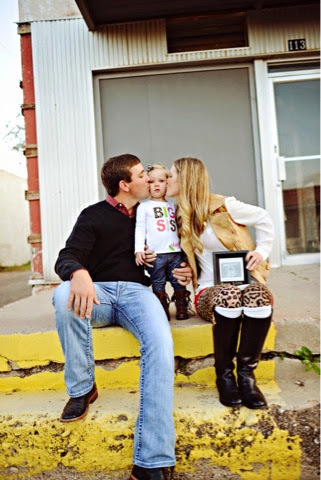 We are due with baby 2 on June 17th, 2015, just 3 days before Laikyn's second birthday. As if June wasn't crazy enough...Brett's birthday, our anniversary and now two kids birthdays! It will be my most favorite month ever! I am almost 9 weeks and we have gone to our first dr appointment and sonogram! 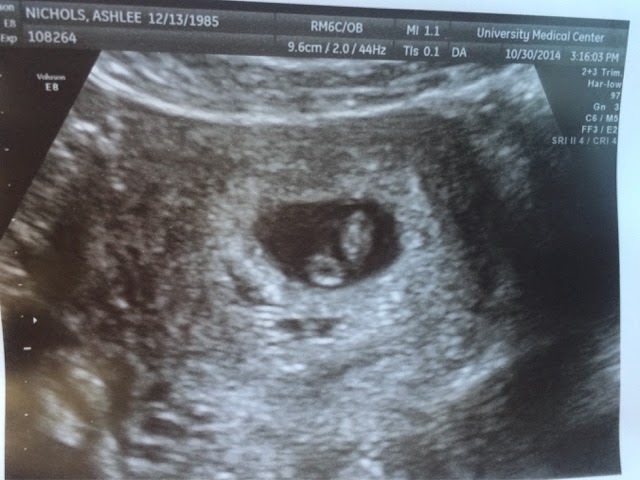 Baby is growing well and has a strong heartbeat! We couldn't wait to share the news with everyone!! I'll be doing my weekly bumpdates just like I did with Laikyn! So far, this pregnancy has been a little easier on my body! I have been sick twice, but nothing like the everyday all day nausea that I had with LC! Praying that the sickness stays at bay so I can enjoy my busy little one year old! 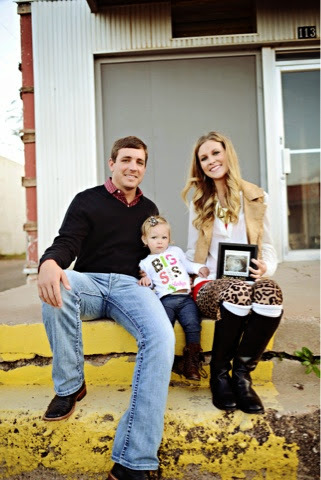 I'm so excited and can't wait to know if Laikyn will get a sister or brother!! 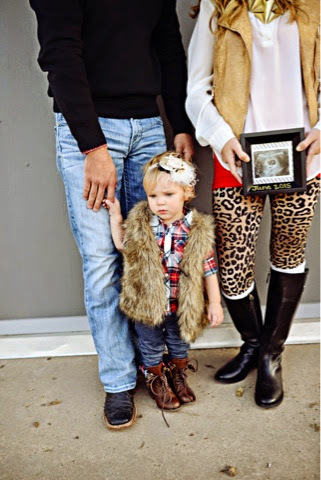 She is going to be the best big sister!! !